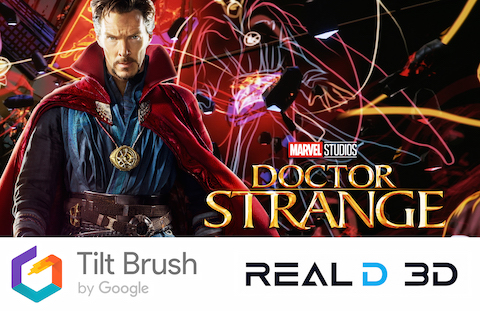 In collaboration with RealD, Marvel Studios enlisted three of the world’s most talented Google Tilt Brush artists to take part in a global VR painting experiment inspired by Doctor Strange. Artists Danny Bittman, Steve Teeple and Stuart Campbell hand-painted alternate realities spanning New York City, London and Hong Kong; cities that are essential to the film’s storyline. The artists traveled with their work, allowing fans in each of the cities to enter the alternate realities, exclusively in Tilt Brush by Google.